What could be nicer on a lazy Sunday afternoon than reading a good book, drinking a warm cup of coffee and eating something delicious fresh from the oven? Not much, trust me. Maybe sitting on a beach, enjoying the sunshine. 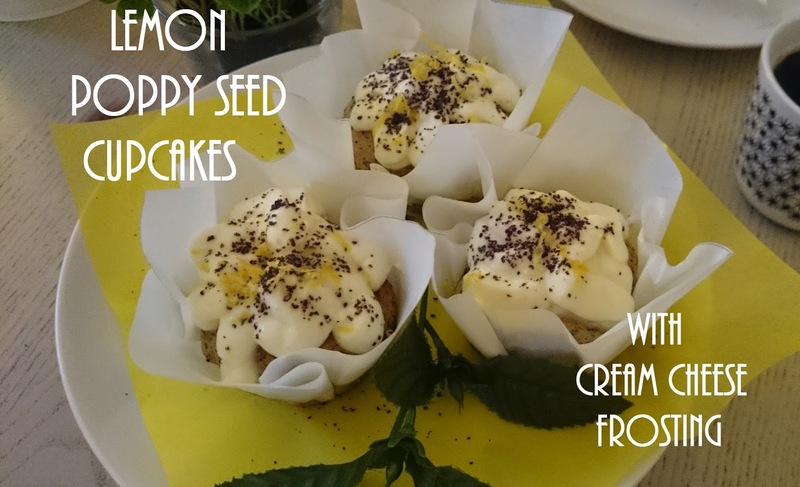 As this is pretty difficult in Austria, here is a quick and easy recipe for lemon poppy seed cupcakes with cream cheese frosting, adapted from pinterest. Set aside some poppy seeds and lemon zest for decoration. 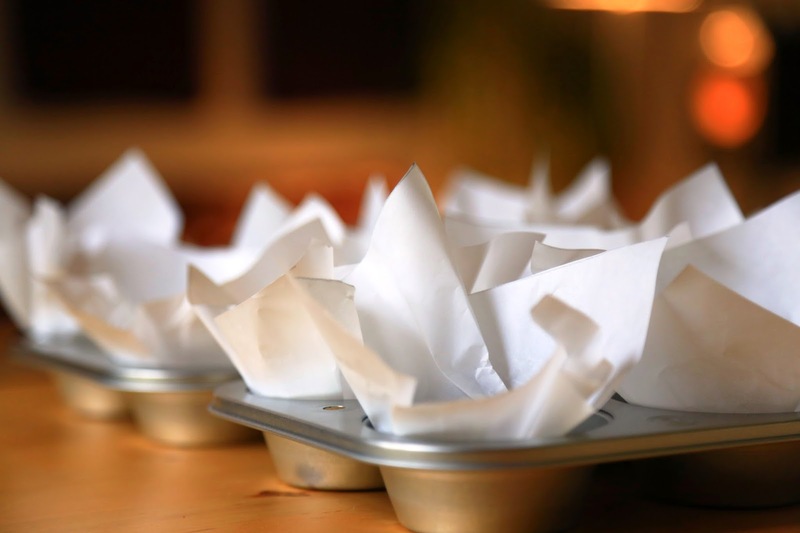 Start with putting the cupcake liners into your baking pan. As I ran out of liners, I simply cut out squares (14 x 14cm) from parchment paper. Preheat your oven to 190°C (375° F). 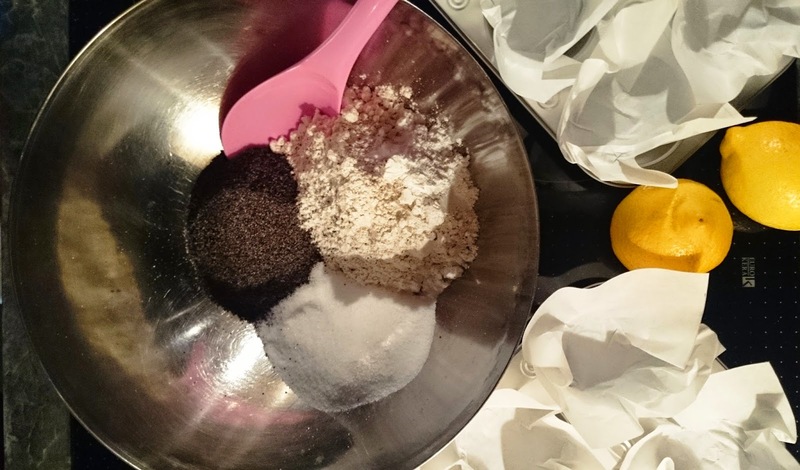 In a large bowl, whisk together flour, sugar, baking powder, poppy seeds and a pinch of salt. In a second bowl, mix the yogurt with 2 eggs, lemon zest and lemon juice. Add the yogurt mixture to the dry ingredients and stir well.